My plan is to simply share some experiences as the Dad of a professional baseball prospect whom is in the Kansas City Royals organization. John’s career started in the 2008 MLB First Year player draft having been selected in the 5th round by the Royals. 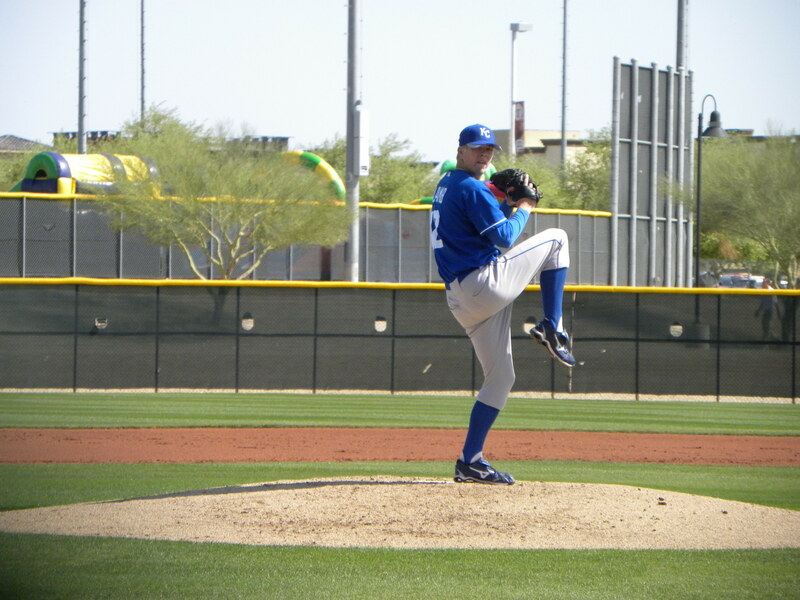 Today, was the start of his 2010 season with the Burlington Bees, the Class A team of the Kansas City Royals. John was fortunate to be handed the ball as the Opening Day starting pitcher. I’m sure he had some butterflies, but not as many as I had sitting in the living room listening to the radio broadcast connection through the http://www.gobees.com site. The Burlington Bees have started each of the past two seasons toward the bottom of the Western Division of the Midwest League. The second half of the season each of the past two years has led to division titles. The Bees are looking to get off to a good start this season when they open up the 2010 season at home against the Quad Cities River Bandits. It’s also the first time the Bees will open and close a season at Community Field. Well, things to not go as the Burlington Bees had hoped for, but there are 139 games still left for the season. There is plenty of time for the prospect laundered team to get on track and play like expected. John got his first loss of the year and I feel safe to say, not his last. I have always told him that it is not how you start but rather how you finish that’s most important. I am confident in his ability, as are the Royals. I continue to be very proud of his accomplishments considering all the circumstances that surrounded his last year in Laguna Hills High School. I will continue to update this blog, as he unfolds his career in professional baseball.